Robert’s new restaurant at the Tropicana in Las Vegas is a sight to behold, filled with incredible food, the deepest beer menu you’ve ever seen, and something else so special you have to experience it to believe it. 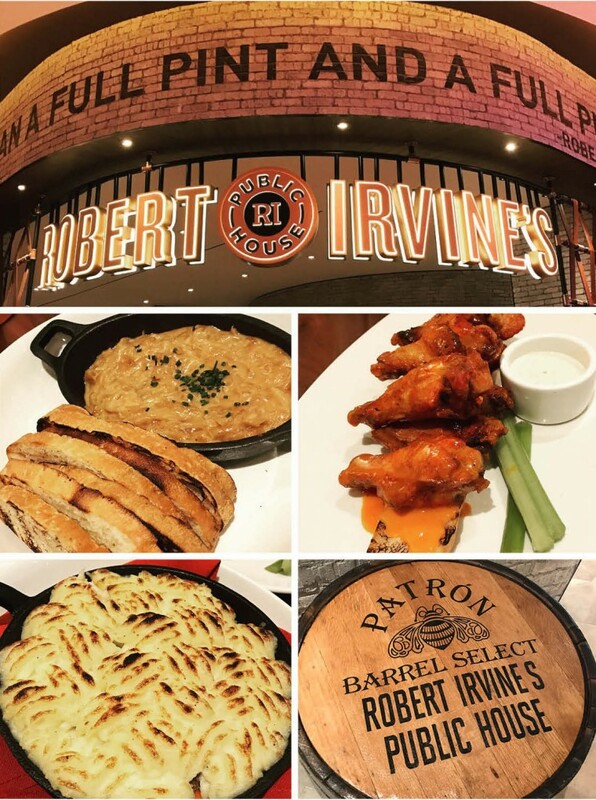 It is Wednesday, July 26, just a few minutes past noon, and in less than 24 hours, Robert Irvine’s Public House will celebrate its grand opening. At the moment, the 9,000-square-foot 275-seat restaurant on the main floor of the Tropicana Hotel in Las Vegas is mostly empty, but it echoes with the chatter of staff and the clanging of pots and pans in the kitchen. Bartenders, servers, and line cooks buzz back and forth, making last-minute preparations for tonight’s friends and family dinner—a soft opening that should reveal any issues that need to be ironed out before more than 1,000 members of the general public storm through the front doors tomorrow. Robert stands just outside the open kitchen with a gravitational pull all his own. Employees cluster around him and disperse at irregular intervals, seeking sign-off on various particulars. The parade seems endless as dozens of people pull at Robert’s attention. Then suddenly, he is alone. Dressed in his trademark skin-tight navy t-shirt, dark blue jeans, and black loafers, he takes a deep breath, props his hands on his hips, and surveys the dining room. The look of concern on Robert’s face is understandable; the restaurant he is set to unveil has been 18 months in the making, and he has been intimately involved in every detail, from the development of the menu to the layout of the restaurant, to logo design, the materials used on the bar and outer facade—even the server uniforms—and hundreds of other tiny details that the average customer might not notice. When added together, he’s counting that those little details will enrich the overall experience and set Public House apart on the hyper-competitive Vegas culinary scene. At present, a few of those tiny details are gnawing at him. The same critical eye that cold-bloodedly dismantled so many establishments on Restaurant: Impossible is now at work on his own creation. Does that mean he’s nervous? The moment alone doesn’t last long. Hotel administrators come to pay him a visit and assess the progress. Fans from the casino floor look in through the windows and recognize him, then barge in to ask for pictures. He obliges, as he always does. So it goes for another five hours; the sparkling new venue is an object of curiosity, but Robert remains the main attraction. That is, until the food starts coming out to the tables. The concept behind the menu is “elevated” pub food. 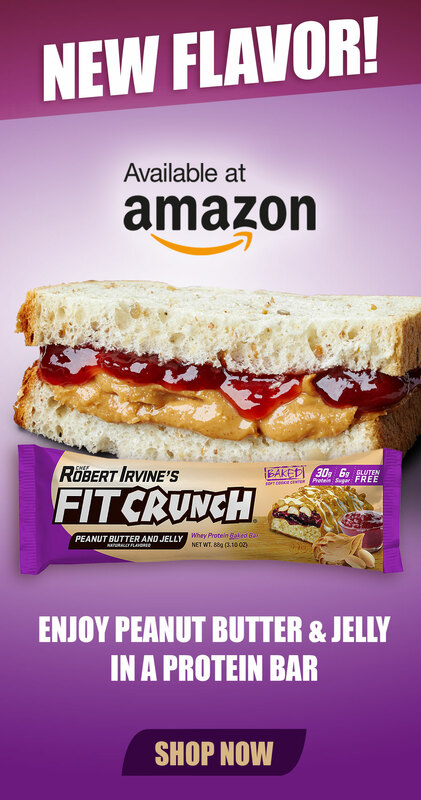 There are countless bars where you can walk in and order a pint, a plate of wings, or a shepherd’s pie, but there is only one in the world where you can get those things—and a whole lot more—as interpreted by the inimitable Robert Irvine. The unique twist at the Public House, as Robert Irvine’s VP of Culinary Affairs Darryl Moiles explains, goes beyond taking ordinary pub food and making it “gourmet”. Indeed, beyond the wings and pizza, the menu is much more sophisticated than you’d find in an average pub. Exhibit A is the first course: appetizers like peppered goat cheese poutine with shiitake mushrooms; French onion fondue; steak tartare; and lump crab arancini might scream out more to foodies than the sports bar crowd, but a single bite of any of these would convert even the most pedestrian customers. Main course options are divided into three subcategories: sandwiches/burgers, pizzas, and entrees. On the sandwich side, you can get a Pastrami Rachel, which is smothered with German grain mustard; a lobster roll with sofrito mayo; grilled chicken breast with fig marmalade; a BLT with thick-cut bacon; and the “Fork and Knife Fondue Burger”, which your server will coat with melted gruyere when it’s delivered to your table. Thin crust pizzas come out of the oven piping hot in familiar varieties—triple cheese; pepperoni; and margherita—and exotic—wild mushroom; kale pesto; and prosciutto with fig jam, goat cheese, and arugula. Entrees include shepherd’s pie; blackened mahi; ponzu glazed salmon; fish and chips; skirt steak with frites; chicken fried duck confit; braised lamb shank; and ramen. Two items best shared include the 40 oz. tomahawk ribeye and the five-pound roast chicken with mashed potatoes, veggies, and demi glace. For the health-conscious, six salads are available, including shaved kale; chicken avocado; and roast vegetable and watercress. If you’ve saved room for dessert, there’s a peaches and cream cheesecake; English banofee pie; warm bread pudding; dark chocolate panocatta with mini doughnuts; almond cake; and a mason jar apple pie topped with a hunk of five-year old cheddar cheese from Grafton, VT.
That last dessert item notwithstanding, every effort has been to source local ingredients from meat to veggies to bread. If the main menu looks deep enough to invite repeat visits, the bar menu is genuinely overwhelming, with 100 beers, all presented by the region of origin. Award-winning microbreweries from across the US are well-represented, as are foreign beers and good old-fashioned macrobrews like Bud and Miller. If your order a cocktail, you can have it made with Robert’s Boardroom Spirits (see the story in our October issue) and if tequila is your thing, ask for Robert’s very own blend of Patron, which he formulated while on a trip to the distillery in Guadalajara, Mexico. “Friends and family night” might sound like an easy soft opening, but shortly after the doors open, every table top and bar stool is filled. This, it turns out, was by design. Moiles said that the restaurant was intentionally overloaded on both nights leading up to the grand opening. Public House Executive Chef Scott Green has more than two decades of culinary experience under his belt and previously opened restaurants for Celebrity Cruises. Before taking the reins at Public House, he came directly from running the kitchen at a ski resort in Alberta, Canada. A Las Vegas native, he’s no stranger to the heat of the strip, having also worked at Caesar’s Palace. Green has opened a fair share of restaurants in his day, but the impending launch of Public House, he said, gave him fewer nerves than in the past. The following morning, a throng of Robert’s fans and press gather outside the Tropicana’s main entrance. An attendant pushes a cart filled with ice and bottled water amongst the bodies as the thermostat climbed to a—mercifully dry—104 degrees. Robert didn’t keep the crowd waiting long. Right on schedule, his helicopter—emblazoned with the Public House logo—descended into the parking lot. When the blades stopped spinning, he hopped out to thunderous applause, flanked by his wife Gail and Medal of Honor recipient Woody Williams. He and Williams then grabbed T-shirt cannons and fired swag into the crowd, posed with fans in front of a Patron roadster, then made their way inside for the unveiling ceremony. Aaron Rosenthal, General Manager of the Tropicana, spoke first, heaping praise on Robert’s efforts to make the restaurant a one-of-a-kind experience, then detailing the extraordinary travails of special guest Williams. In World War II, Williams was part of the Marine detachment that planted the American flag on Iwo Jima; in that same battle he singlehandedly cleared a number of foxholes with a flame thrower, running out of fuel, doubling back behind his lines, then pressing forward again for several hours. When Williams took the mic, he waved off the applause, deflecting all praise to his host. Robert fought back tears as Williams continued in that vein for several minutes—pointing out Robert’s extensive work to raise money and awareness for veterans’ issues through The Robert Irvine Foundation, the Gary Sinise Foundation, and several USO tours—before finally turning the mic over to Robert. Later, Robert explained what made the ceremony—and Williams’ speech in particular—such an emotional experience. Robert thanked the many team members of the Tropicana and his own staff for making the restaurant possible, as well as his wife Gail, and daughters Annalise and Talia. He then walked to the front entrance, cut the ribbon, and picked up a sledgehammer. In front of him on a table sat a massive ice sculpture with the Public House Logo etched on its face. He stepped into his best baseball swing and shattered the sculpture into a thousand pieces. The audience erupted with applause, then filed in to eat lunch. A quick stroll through the tables revealed a lot of happy customers. Las Vegas natives Tom and Jason had the grand opening date marked on their calendars. Jason works in construction and most recently worked to remodel the bridge that spans the Strip, connecting the Tropicana to the MGM Grand. “I saw the signs daily, so I marked it,” Jason said. Tom had a pizza; Jason the Pastrami Rachel. They shared the poutine. Too stuffed for dessert, they said they were eager to come back to work their way through the rest of the menu. Bodybuilding legend Phil Heath, the reigning six-time Mr. Olympia and friend of Robert’s who once appeared alongside him on Restaurant: Impossible, was also in attendance. Heath couldn’t indulge in any of the more decadent menu items and even asked the kitchen to hold the glaze on his salmon and go easy on any cooking oils. They were happy to oblige, and Heath had a relatively Spartan but satisfying meal of grilled chicken, salmon, quinoa, and fingerling potatoes. Heath, a favorite to win his seventh consecutive Olympia title in September, says he’ll probably splurge on some of the regular menu items after the competition; he’ll host his after-party at Public House. Most of the patrons were long-time Robert fans. Others, like Eric and Fleur, who were visiting from the Netherlands with their three children, had never seen Robert on TV before. They simply saw Robert’s massive mural that covered the side of the Tropicana and figured something special had to be cooking. They came in off the street, waited for a table, and became fans on the spot. Amidst a table littered with empty plates, Eric declared that he would definitely bring his family back. Many said the food was amazing. Others couldn’t believe how extensive the beer selection was. Yet the most common answer was that Robert Irvine’s Public House had something almost indescribably special about it. Perhaps that quality is this: in a tourist city designed to overwhelm the senses with unrelenting spectacle on every corner, Robert Irvine’s Public House is a spectacle of a different kind—a place where the expertly crafted food and drink and affable staff combine to create a true feeling of contentment. From the top of the building you can see the barren desolation of the Mojave Desert stretching out to the horizon in all directions. But just beneath your feet is a place where, no matter who you are or where you’re from, feels just like home. 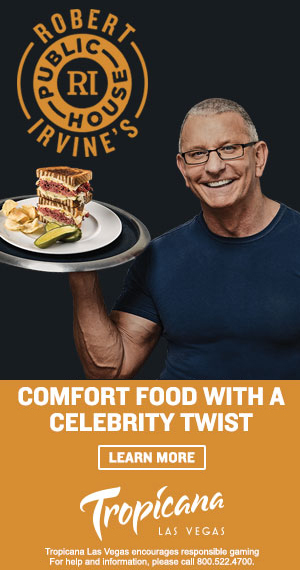 Make a reservation to Robert Irvine’s Public House at troplv.com.